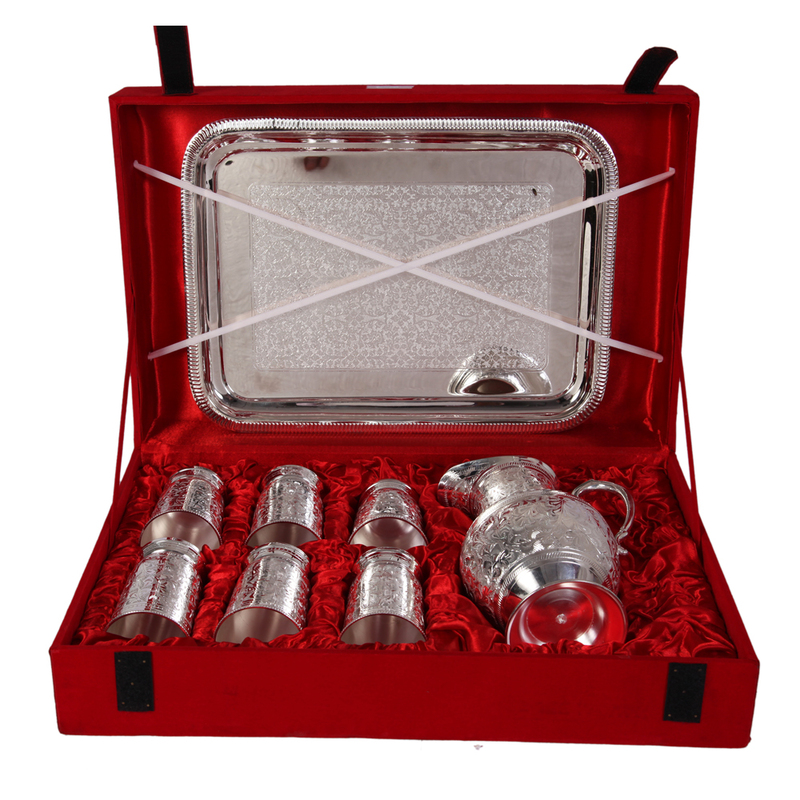 The 6 Glass Set with Jug & Serving Tray in German Silver is ideal for all those buyers who wish to impress their guests by Read More..serving refreshments in such an aesthetically spectacular manner. The intricately carved glasses, along with the immaculately designed jug, are perfect for making quite an aesthetic addition to any tea or dinner table. Moreover, the stylish serving tray offers the convenience of serving so many glasses at a time without having to compromise in terms of visual opulence. Show Less..